Buried in the heart of Austin, Texas lives a collection of compelling artists competing with an overwhelmingly large number of other bands. Without a label, a publicist, or industry representation, most of them go unseen. Greg Loftus should not be one of those artists. He’s just a guy and a guitar living a dream- however, Loftus has composed one the most flawless albums you’ll probably not have the chance to hear. Disadvantaged in terms of resources, if Raise The Rent lands in your lap, it will be because Loftus himself found a way to put your eyes and ears on his work. It doesn’t get any more blue-collar than that. However, that doesn’t change the fact that Raise The Rent deserves your attention. Loftus is no hack. With a crisp and well-defined antique voice, he is without question the textbook candidate for the most promising artist you’ve never heard. Throughout the album’s nine songs, Loftus shows glimpses of brilliance. The album’s opening track, “Cinder and Soot”, showcases a definitive, old-fashioned sound. Unapologetically free of glitz and glamour, the track relies on country slide guitar and strikingly blended vocals to build the body of the album. Following suit, “Long Before I Rust”, a track that easily could have found itself in the grooves of a Jason Isbell or Sturgill Simpson record, showcases Loftus’ abilities as a storyteller. Recounting the timeless struggle of surviving the scuffles and snares in life and the pride that comes with dusting yourself off after each fall, Loftus shows his ability to create a narrative among the best in the country music. 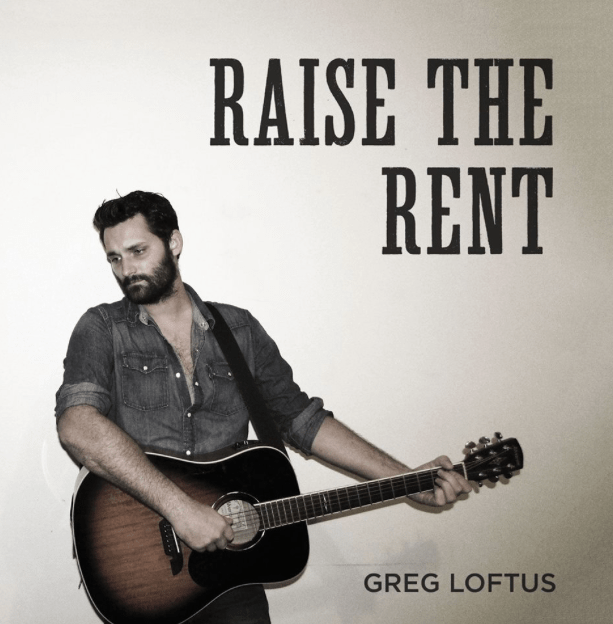 It is clear that Loftus isn’t looking to slot himself into the popular crossover world of Indie-Americana on Raise The Rent. From the opening track to the album’s completion, Loftus simply stays the course of his simple, country sound, creating tracks that would fit perfectly in the jukebox of any honky-tonk dive featuring Willie Nelson, David Allen Coe, or Merle Haggard. We should all be thankful for that. Although far from primed to break his career wide open, Raise The Rent is proof that Loftus should be an artist that we all keep an eye on. If his debut full-length is any indication of where he’s headed, his future should shape particularly quickly. Previous Article← The Tall Pines Release New EP Today!